“Did You Ever See a Dream Walking?” Words by Mack Gordon, music by Harry Revel. Composed for the Paramount film Sitting Pretty (1933). 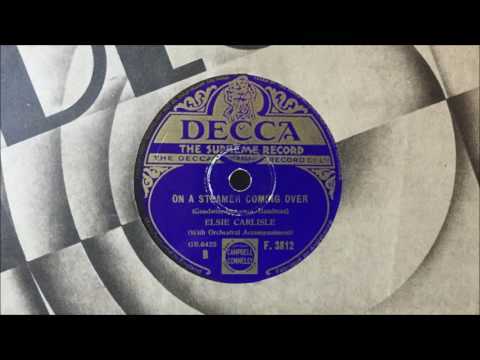 Recorded by Elsie Carlisle with orchestral accompaniment on December 19, 1933. Decca F. 3812 mx. GB6424-1. “Did You Ever See a Dream Walking?” begins with a suitably dreamy introduction that is full of words such as “strange,” “mystic,” and “weird,” and its music evokes an atmosphere of wonderment. The singer reveals that something unexpected and even perhaps otherworldly has happened to her, and then follows with the question, “Did a thing like this ever happen to you?” The rest of the song is a long series of questions that slowly reveal the nature of the apparently ecstatic experience: the singer has fallen in love with someone that she describes as a “dream,” and even as “heaven.” Elsie Carlisle’s version is an effusive description of the states of entrancement and adoration, and the studio band’s attractive accompaniment matches nicely their performance in the song on the reverse side of the record (“On a Steamer Coming Over”). “Did You Ever See a Dream Walking?” was introduced in the Paramount movie Sitting Pretty (1933) by Art Jarrett, Ginger Rogers, and a chorus of women who dance in impressive geometric formations closely resembling the ones directed by Busby Berkeley at the time. There followed that year American recordings by The Pickens Sisters, Adrian Rollini and His Orchestra (v. Chick Bullock), Meyer Davis and His Orchestra (with The Three Rascals), Guy Lombardo and His Royal Canadians (v. Carmen Lombardo), Eddy Duchin and His Orchestra (v. Lew Sherwood), and Bing Crosby (accompanied by the Lenny Hayton Orchestra). British recordings of the song from late 1933 and early 1934 include those of Frances Day, the BBC Dance Orchestra (directed by Henry Hall, with vocals by Les Allen), Roy Fox and His Band (v. Denny Dennis), Billy Cotton and His Band (v. Alan Breeze, with Billy Cotton in a speaking part), Ambrose and His Orchestra (v. Sam Browne), Ray Noble and His Orchestra (v. Al Bowlly), Joe Loss and His Band (v. Jimmy Messini), Jack Payne and His Band (v. Jack Payne), the Casani Club Orchestra (v. Harry Bentley), Bertini and His Band (v. Sam Browne), Harry Roy and His Orchestra (v. Harry Roy), Scott Wood and His Orchestra (as the Silver Screen Orchestra, with vocalist Sam Browne), and Sidney Lipton’s New Grosvenor House Band (v. Ronnie Ogilvie). 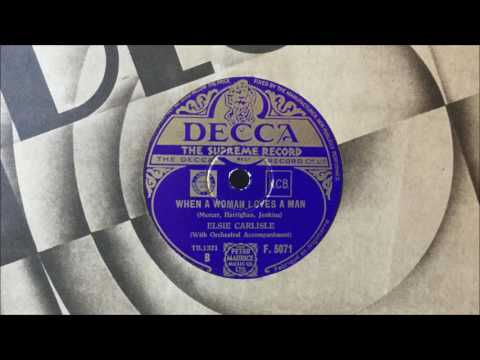 “On a Steamer Coming Over.” Words by Joe Goodman and Henry Bergman, music by Lou Handman. Composed for The Cotton Club Parade of 1933. 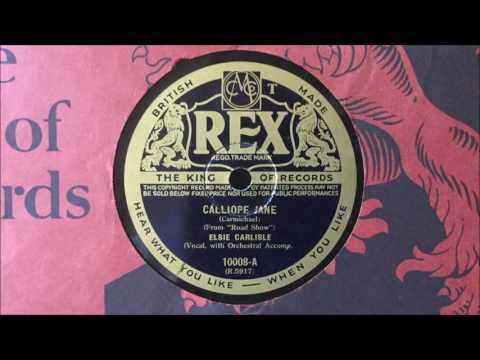 Recorded by Elsie Carlisle with orchestral accompaniment on December 19, 1933. Decca F. 3812 mx. GB6425-2. “On a Steamer Coming Over” tells the story of a fortunate encounter between a woman and a man on a presumably trans-Atlantic ocean liner. Their romance quickly grows and thrives because the couple happily has lots of time and nothing else to do, and they seem destined for marriage. The song thus encapsulates a popular twentieth-century motif in which the confinement of a long ocean journey is taken as a source of happiness and not a mere modern nuisance. 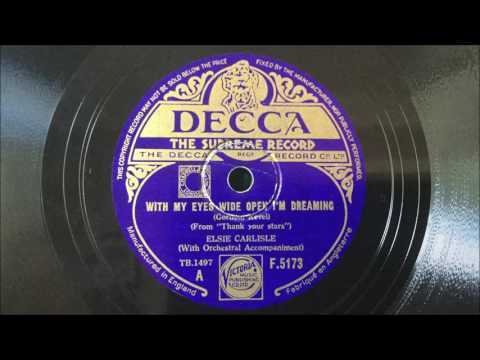 Elsie Carlisle’s rendition is marked by particular sweetness and earnestness. The studio band’s performance is complemented by an extraordinarily realistic simulated ship’s horn, as well as by sounds of splashing ocean water that the pianist appears to be dreamily imitating on his own instrument at the very end of the song. “On a Steamer Coming Over” was introduced in New York by Aida Ward in The Cotton Club Parade of 1933. The only American recorded version that I have found is that of the Meyer Davis Orchestra (with vocalist Charlie Palloy). 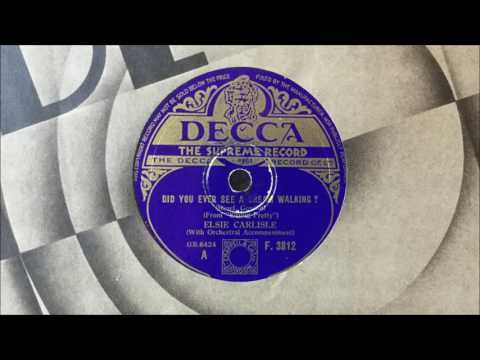 The song was widely recorded by British artists in December 1933, including the BBC Dance Orchestra (under director Henry Hall, with vocalists Phyllis Robins and Les Allen), Roy Fox and His Band (with vocalist Denny Dennis), Billy Cotton and His Band (with Alan Breeze), Ambrose and His Orchestra (with Sam Browne), Ray Noble and His Orchestra (with Al Bowlly), Howard Flynn and His Orchestra (with vocals by Dan Donovan), Jay Wilbur and His Band (with Phyllis Robins and Sam Browne), and Jack Payne and His Band (with Jack Payne singing the lyrics). In January 1934 there were versions recorded by Charlie Kunz and the Casani Club Orchestra (with vocal refrain by Eve Becke), Harry Leader and His Band (as Joe Taub and His Melodians, with Sam Browne), Harry Roy and His Orchestra (with Ivor Moreton), Peggy Cochrane, and The Three Ginx.